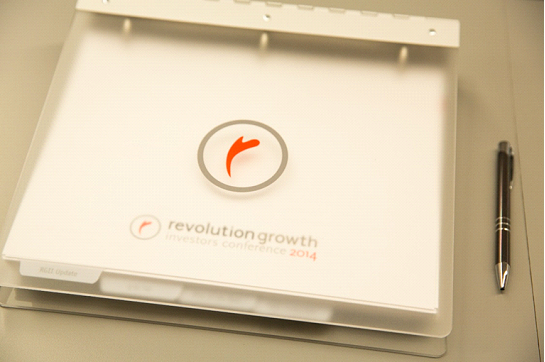 Revolution: Annual Investors Conference – Tucson, Arizona and Washington, D.C. In 2011, Steve Case, Ted Leonsis and Donn Davis announced their new investment fund: Revolution Growth. Focused on technology-enabled businesses that “empower consumers and disrupt existing, multi-million dollar industries,” the fund launched with 24 limited partners and $450 million in capital commitments. It is managed out of Washington, DC by a small team that prides itself on its hands-on, roll-up-your-sleeves high touch approach. In late 2012, Rendezvous was brought on board to support Revolution Growth with its first-ever Annual Investors Conference. Scheduled to take place at a location outside Tucson, the goal was to build an event that fulfilled specific business objectives while at the same time creating a unique and highly personal experience for each of the 125 guests in attendance. Over the next six months, Rendezvous team members worked side by side with Revolution Growth staff to design and map the substantive agenda and complete start-to-finish guest experience for the conference. Navigating a custom built-for-the-occasion event website and registration platform, our team managed the process of individually scheduling each of the guests in attendance, providing one-on-one VIP-level support with everything from travel, transportation and housing to the development of personally tailored schedules that detailed business meetings, onsite activities and offsite excursions. We facilitated creative planning sessions on speaker selection, show flow, entertainment “collaborators,” a resort-inspired menu, and overall event décor. Rendezvous is honored to have played a part in the success of this first annual event, and we are proud to continue to support Revolution with this event every year.